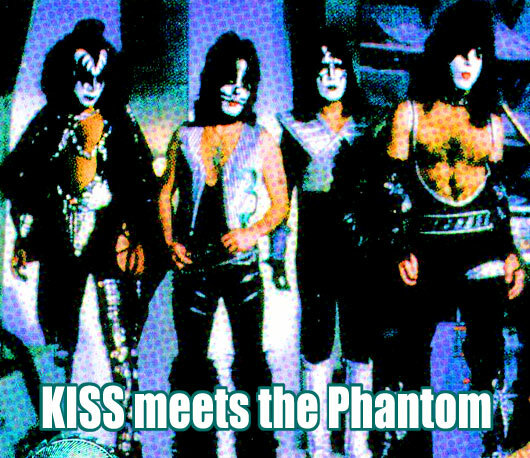 Kiss meets the phantom: TVparty! 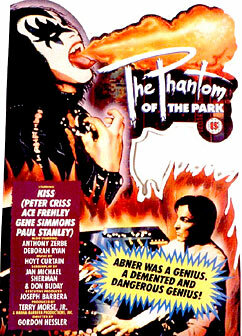 Like so many other things, Kiss Meets the Phantom of the Park seemed like a good idea at the time. The Beatles had successfully made the transition from recording studio to silver screen, so why couldn't Kiss similarly make its mark in a made-for-TV movie? If there was ever a band destined for theatrics, it was Kiss, with its lineup of four rockers determined to draw attention to themselves. 1. Kiss fans were eager for whatever their favorite band put in front of them. 2. None of the guys in Kiss could act. 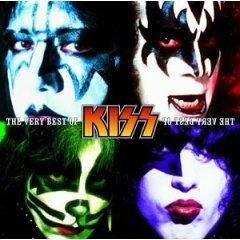 The story of Kiss is a familiar one by now: the group's origins in New York in the early 1970s, how they took the idea of the New York Dolls to wear makeup several steps further, became a phenomenon and faced down religious zealots who insisted Kiss was an acronym for “Knights In Satan's Service." Really, Kiss was just four guys who wanted to make it big in music: Gene Simmons, the bass player who breathed fire and spit blood and hid his face beneath a layer of demonic-looking makeup. Paul Stanley, the sultry lover and rhythm guitarist whose face was adorned with a star over one eye. 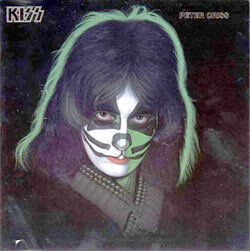 Peter Criss, the drummer who adopted a cat as his disguise. And Ace Frehley, the cosmic-thinking lead guitarist who tricked out his guitars to shoot sparks, naturally made himself over as a spaceman. 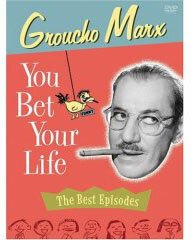 Born in Israel as Chaim Witz, but reared in New York from 9 on, Simmons grew up fascinated by American popular culture: rock ‘n' roll, horror movies and comic books. All of that helped influence the creation of Kiss. 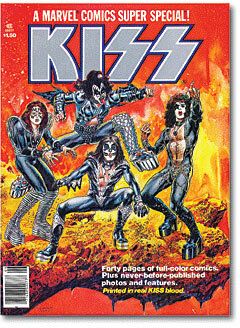 Marvel Comics was the first to realize the superhero-like qualities of Kiss and included the band in back-to-back of issues of Howard the Duck's comic book in the summer 1977 and then gave them their own glossy comic later that year. Kiss made the 40-page Marvel Comics Super Special stand out by adding their own blood to the printer's ink. 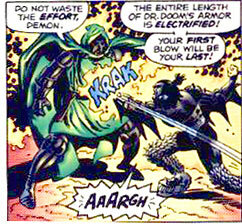 The comic included everything a fan of Marvel could want, including Kiss battling Doctor Doom and appearances by the Fantastic Four and Spider-Man. 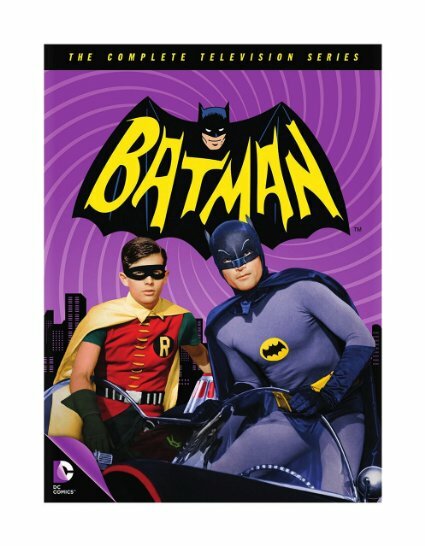 The next step, of course, would be to take their adventures as comic book heroes, with their unique super powers, and bring them to life on the screen, even the small screen. 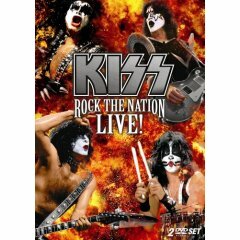 "When we were asked to do Kiss Meets the Phantom, it was pretty much sold to us as Hard Day's Night meets Star Wars," Stanley said during the two-hour VH1 program Kiss Behind the Makeup, which aired in 2001. "What it turned out to be was anything but that." Kiss Meets the Phantom of the Park tells the story of a mad scientist working in a California amusement park. Kiss is there for a concert, but the guys are captured and replaced by robotic doubles. Fortunately, Kiss can do more than rock and roll all night and party every day. 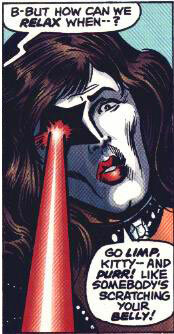 They are infused with special powers: Frehley can teleport himself and the others. Criss has cat-like abilities. Stanley can shoot a laser beam out of one eye. And Simmons can breathe fire. 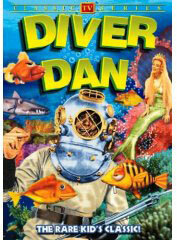 Hanna-Barbera Productions, best known for making Scooby-Doo, Yogi Bear and other cartoons, approached Kiss about appearing in a movie to fulfill its obligation to make movies for NBC. The idea was to make Kiss appear larger than life - the opening credits did just that, with the guys superimposed over the amusement park and appearing to loom large over the rides. 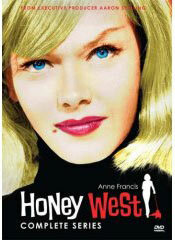 But rather than play to their strengths - music - the script forced them into the unfamiliar role of actors. 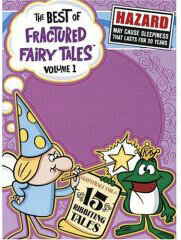 Only a few songs are even in the movie, including an acoustic version of “Beth." A soundtrack was never released, despite plans to do so, and the only new song to appear is “Rip and Destroy," a rewritten version of “Hotter than Hell." 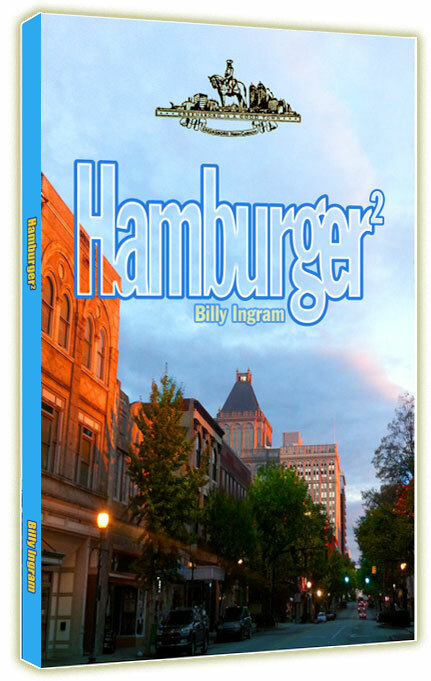 "When I originally read the script," Simmons announced in a Hanna-Barbera press release, "the first thought that came to my mind was comic books. I think that's the flavor of this film. There's a villain and we're the good guys. It's your basic American dream situation where you've got superpowers." If Simmons was happy with the script, Frehley wasn't. Almost all of his lines were him sounding like a parrot. The scriptwriters - Jan Michael Sherman and Don Buday - had hung around with the band before going to work, to get a feel for how they spoke. 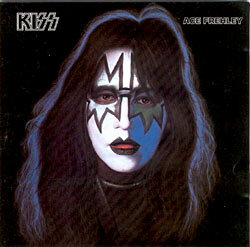 But Frehley wasn't in a talkative mood those days. "When the script came in, Ace's character never spoke. He only said ‘Awk.' 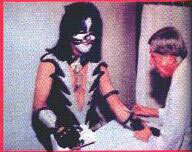 Ace was furious," Simmons wrote in his book "Kiss and Make-Up." 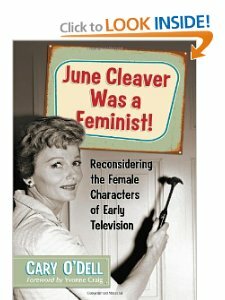 "He wanted to know why they didn't give him any lines. To their credit, they turned around and said, ‘What are you, nuts?' You have never said anything to us except "Awk." We thought that's the way you want to talk.'" The script drew its inspiration from the Marvel Comics treatment of the band as superheroes, which gave each with a unique talisman that is the source of their powers. CRISS: I'm thinking of building a mansion in Catland. CRISS: Not an ark - a mansion. 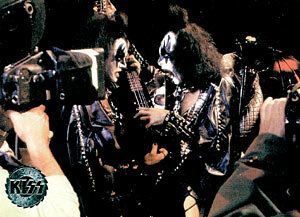 The first draft of the script noted that Frehley "is monosyllabic and super-friendly. Communicating largely through gestures and sounds, Ace might be best described as an other-galactic Harpo Marx." almost broke the group up!